Meals and beverages served: Lunch is included. Vegetarian/food allergies can be arranged when noticed in advance. 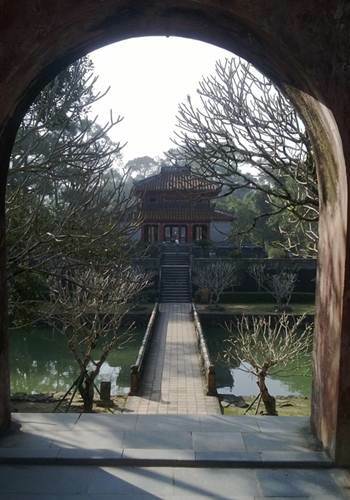 Hue has long been known as the Imperial City of the Nguyen Emperors, rising to glory during their reign from 1802-1945. 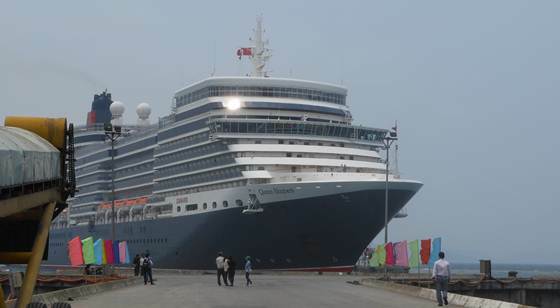 Leave the port, you will pass through what is arguably Vietnam’s most spectacular scenery. Two different photo stops will be made during the passage over this scenic drive. Drive to the other side of the Perfume river, you will admire the magnificence of the Noon gate of the Royal Citadel, where Nguyen Kings used to declare the results of national examinations and new year calendar,.. Walk into the Imperial Citadel and the recently reconstructed Palace of Supreme Harmony. You will also see immense Dynastic Urns and the Pavilion of Benevolence, which dedicates a throne to each of the revered Nguyen Emperors. Just outside the city, you’ll see Hue’s most famous symbol, the tower of the Heavenly Lady Pagoda, a seven-tiered tower overlooking a bend in the tranquil Perfume River. There, you’ll see monks tend to a small garden of bonsai trees, or chant incantations. Take a boat trip on the Perfume river which is famous for its romantic and slow flow. Transfer to a local restaurant for a lunch with Hue specialty such as cakes wrapped up in banana leaves, Hue springrolls,…one soft drink or one local beer is included during lunch. Continue to drive through pine forests and orchards to visit one of the numerous imperial Nguyen Dynasty tombs which dot the surrounding countryside. King Tu Duc’s tomb was richly set up with a work place, theater and tomb site, poem pavillion. Continue to walk to the conical palmhat village. Visit the village where local people make hats and incense sticks. Back to Chan May port. 5. Conical hat village: Flat, easy.